THE role of the salesman has changed. Global competitiveness and client access to information mean that in order to justify their existence, salesmen need to be so much more than just a source of product information, price and availability. They need to have specialist expertise that allows them to add unique value to the client experience. The role of the sales leader has also changed. In the past, it might have been considered a management role, given that some sales teams — or at least certain members of those teams — needed controlling. The old-style manager believed that if he could determine what his salesmen did all day, then he could determine the results. And so, daily call-rates became popular — it was just a game of numbers. The numbers are still important, but sales success requires ingenuity to identify unique solutions to a client’s problems. As their leader, you do not require control as much as you require creativity. Some managers feel that it is their constant duty to remind their sales team about sales figures. But any competent salesman will know the state of his figures — and the consequences of under-performance. In an increasingly competitive and complex marketplace, what your salesmen need is assistance to identify and maximise sales opportunities. They need to use all their creativity and this means freeing them up — giving them more, not less, autonomy. 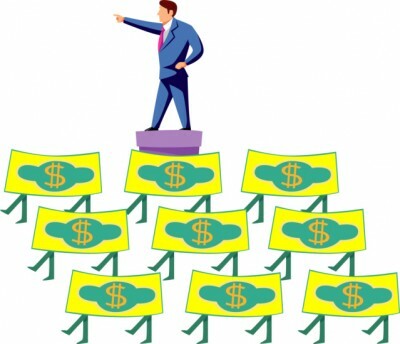 “Extrinsic” motivators like bonuses have worked well in sales for very long. But head office belt-tightening has limited such options for many managers. But for situations where you want people to be creative, “intrinsic” motivators are proven to work better. Two of these “intrinsic motivators” are mastery and autonomy. All good salesmen want to prove themselves as masters of the sales art — and given greater autonomy, it is remarkable what they can come up with. When I was in my 20s, I was often required to explore new sales territories. I would spend several days travelling from one potential dealer to another. The two sales managers I reported to took totally different approaches. “Nothing”, was my typical answer because potential dealers in a new territory never bought on your first visit. “That’s it, you’re not going back,” he would say. The second manager understood and engaged in a discussion about the potential of the territory. He had a strategy. A vision. He did not just look to the next turn; he looked at the long horizon. Visionary leaders can spot the trend so they are able to keep themselves — and their team — ahead of the curve. Visionaries have the imagination to see the future and the insight to anticipate its impact. Visionary leaders have the ability to share their imagination and insights with others so they can turn them into reality. They can help their sales staff to imagine prospecting opportunities that they previously could not see and help them with insights to a client’s behaviour that they previously were not aware of. When they are so close to a situation, it can be hard for salesmen to maintain perspective. The visionary sales leader can reframe their view so that they see opportunities instead of obstacles.